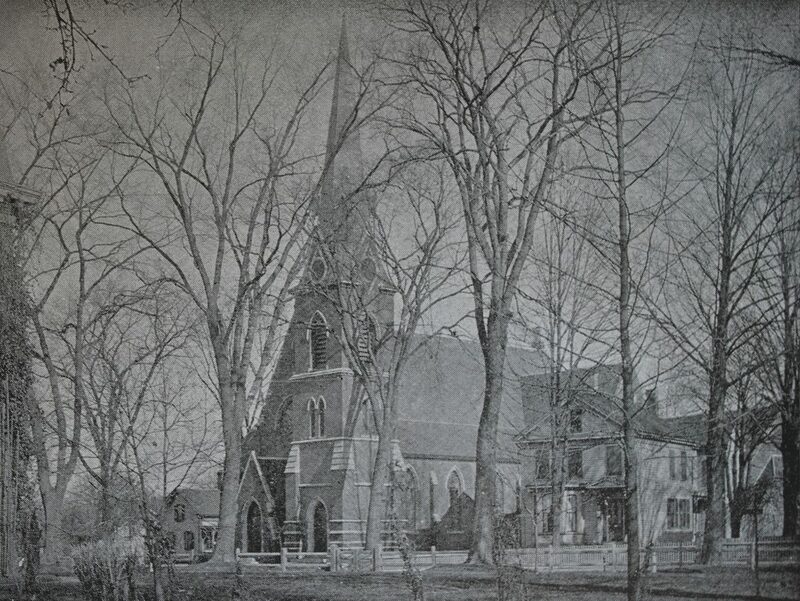 The Third Congregational Church, on Springfield Street in Chicopee, around 1892. Image from Picturesque Hampden (1892). 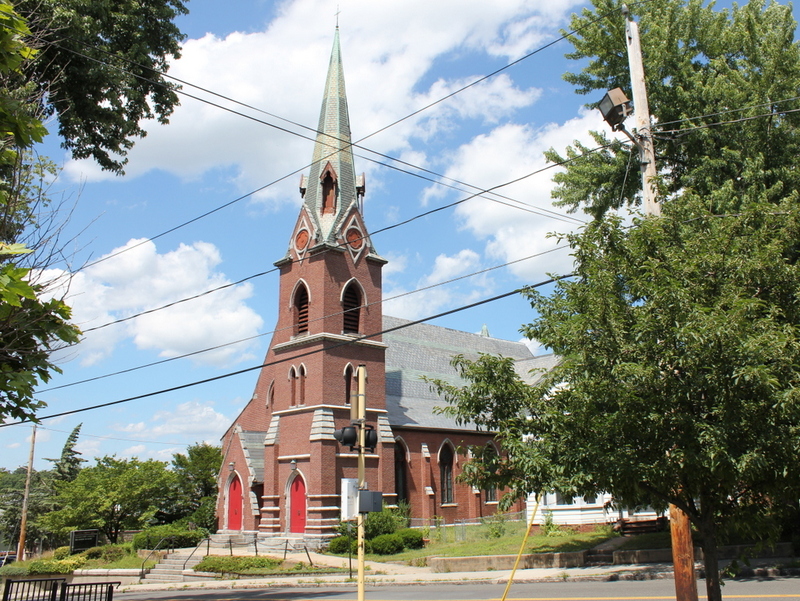 Chicopee’s Third Congregational Church was established in 1834, and originally met in the nearby Stearns House. After meeting in several other temporary locations, the church built its first permanent building in 1837, here at the corner of Springfield and Pearl Streets. The congregation worshipped here for three decades, but in 1868 the old building was demolished and replaced with the present brick church, which was completed in 1870. 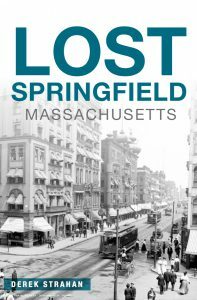 It features High Victorian Gothic-style architecture, which was common in churches of the era, and it was designed by Charles Edward Parker, a Boston-based architect who would go on to design Chicopee City Hall several years later. In 1925, Third Congregational Church merged with the Central Methodist Episcopal Church, forming the Federated Church. Central Methodist subsequently sold their building on Center Street, and the merged church continued to worship here in the Third Congregational building. The church has since been renamed Christ’s Community Church, but it remains here in this building, which has seen few changes in the 125 years since the first photo was taken. 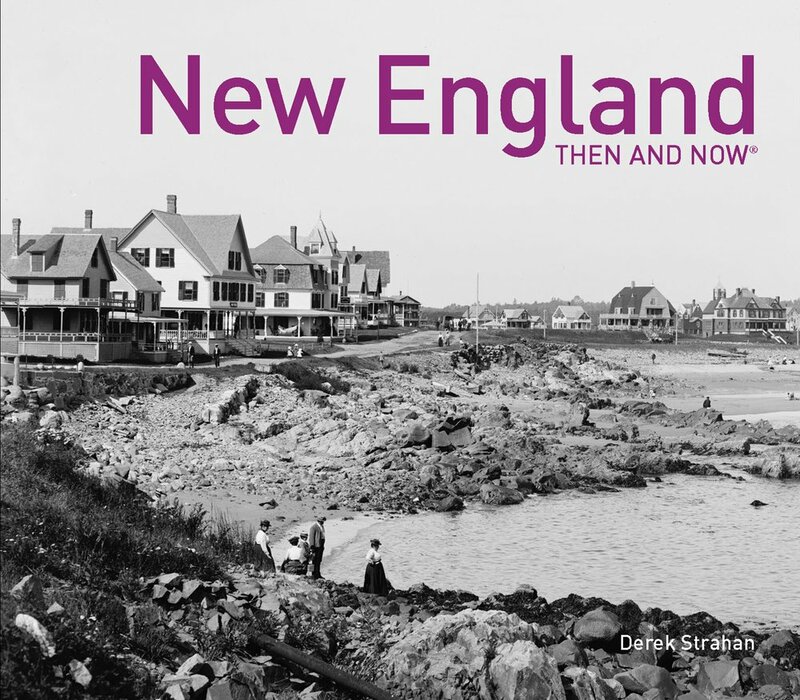 The house next door, which is now owned by the church, is also still standing, and today both buildings are part of the Springfield Street Historic District, which was added to the National Register of Historic Places in 1991.